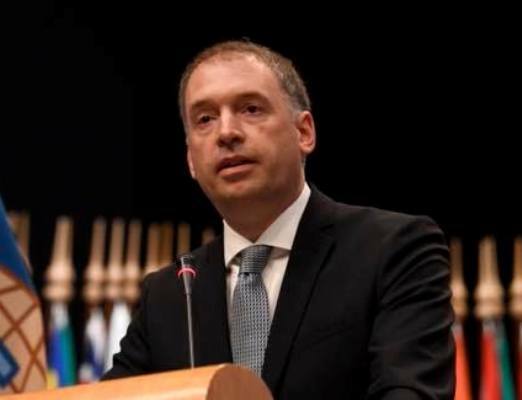 German Foreign Minister of State Niels Annen has said his government will provide political support to have a solution to Rohingya crisis through ensuring safe and sustainable return of the displaced people to their own homeland. During his three-day visit, the German minister of state also assured Bangladesh of his government’s continuous support for the management of the Rohingyas in camps, said the Foreign Ministry in Dhaka on Friday. Minister Annen met Foreign Minister AH Mahmood Ali on Thursday and discussed a wide range of bilateral, regional and international issues ranging from bilateral trade, and investment, Rohingya crisis to politics and refugee situation in Europe. Bangladesh Ambassador to Germany Imtiaz Ahmed and German Ambassador in Dhaka Thomas Prinz were, among others, present during the meeting. Foreign Minister Ali requested German State Minister to continue to mount pressure on Myanmar to ensure safe and sustainable return of the Rohingyas to their home. Annen lauded humanistic approach of Prime Minister Shaikh Hasina and her government and local people of Cox’s Bazar in managing the Rohingya crisis. He also appreciated the efforts taken by Bangladesh government for the safety of the Rohingya people in monsoon. Minister Ali reminded Annen on the pending invitation of to the German Chancellor Angela Merkel to visit Bangladesh adding that Bangladesh is eagerly waiting to receive Merkel. Annen assured that the renewal of invitation would be conveyed to the Chancellor.